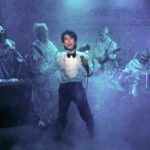 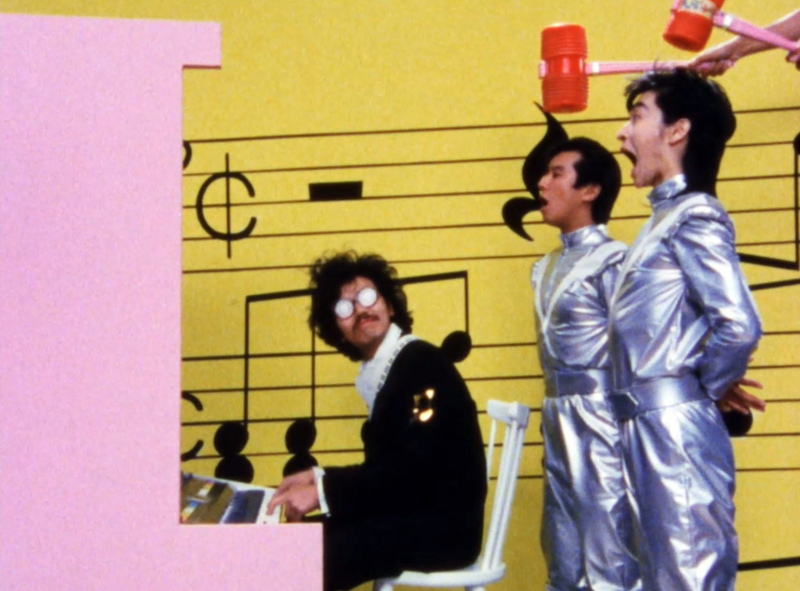 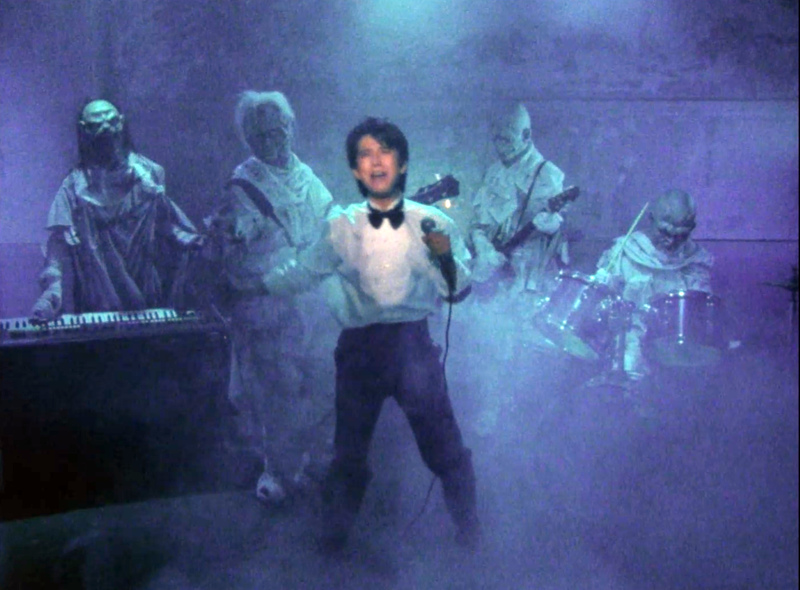 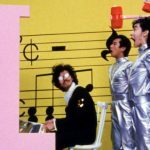 In 1985, Macoto Tezka (son of the great manga artist Osamu Tezuka) met musician and TV personality Haruo Chicada who had made a soundtrack to a movie which didn’t actually exist: The Legend of the Stardust Brothers. 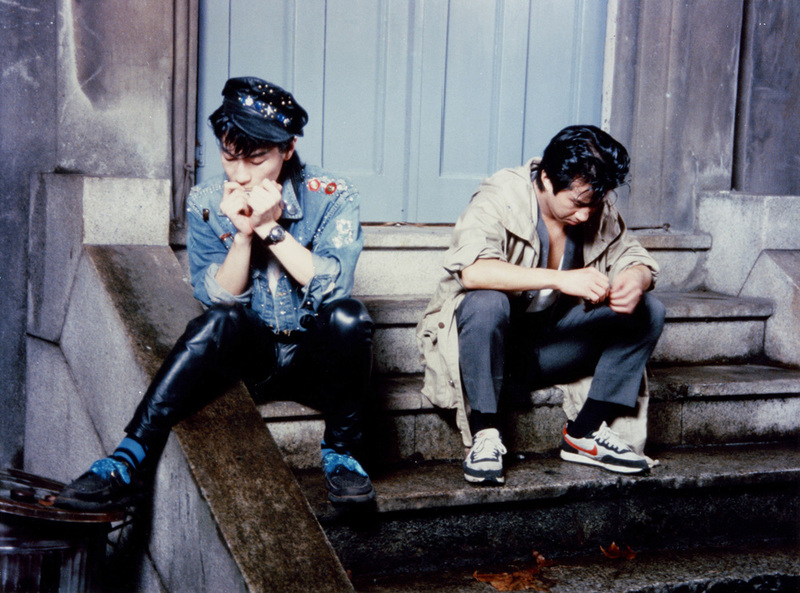 At the time Macoto was just 22 years old, a film-student with many short experimental films under his belt, but yet to make a feature-debut and of course had the pressure of the TEZUKA name. 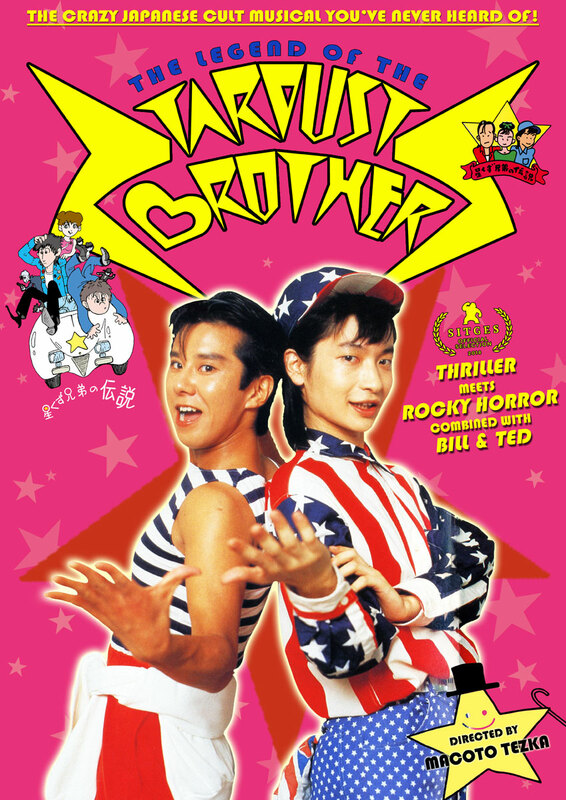 With Chicada as producer, Tezka then adapted this “fake sountrack” into the real movie story of “The Stardust Brothers”. 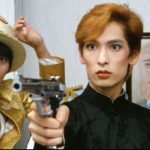 With inspiration from “Phantom of the Paradise” and “Rocky Horror Picture Show”, Tezuka assembled a cast of some of Japan’s most famous musicians of the time, including such greats as Kiyohiko Ozaki, ISSAY, Sunplaza Nakano and Hiroshi Takano, alongside many famous names in Manga such as Monkey Punch (Lupin the 3rd), Shinji Nagashima (Hanaichi Monme), Yosuke Takahashi (Mugen Shinsi) and even many upcoming film directors of the time such as Kiyoshi Kurosawa (Tokyo Sonata) and Daihachi Yoshida (The Kirishima Thing). 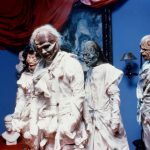 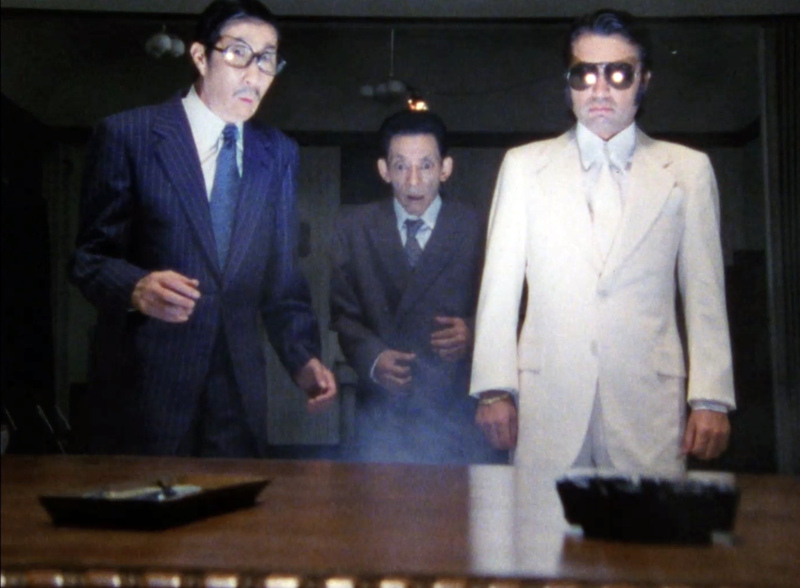 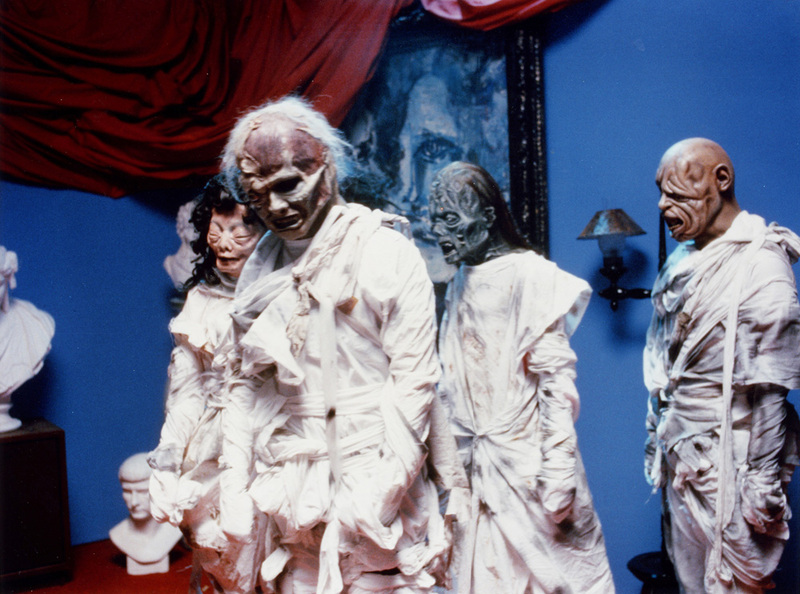 The resulting film “The Legend of the Stardust Brothers” is the exact definition of a cult film. 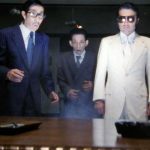 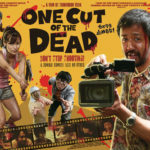 Despite the huge array of talent on board with a large budget, the film is totally unknown even to this day in both Japan and worldwide. 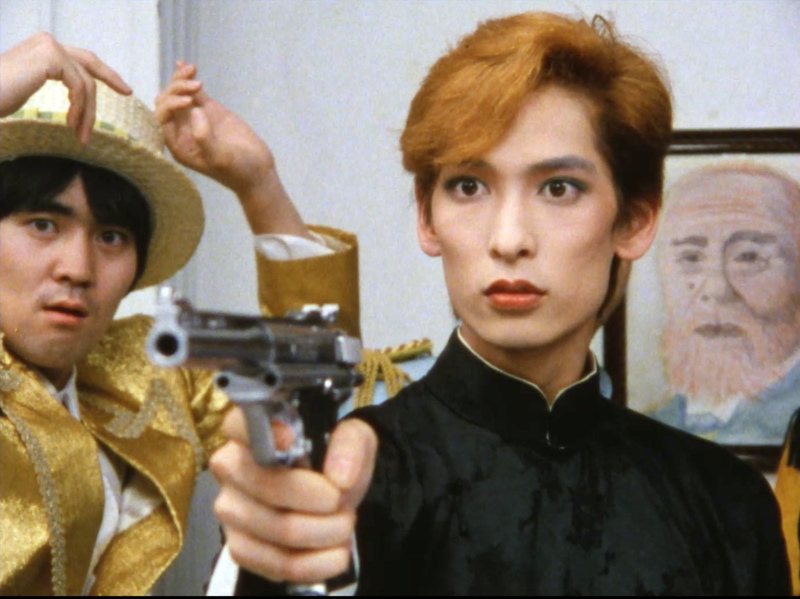 More than 30 years since its release, The Stardust Brothers will finally make itself known worldwide with a new master and a brand new Director’s Cut!